On March 8, 2017, Google released a new update called Fred. 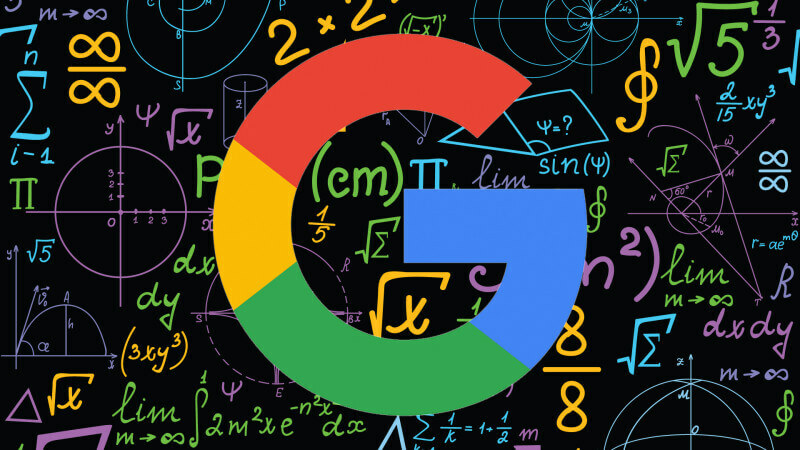 As is often the case, Google has been vague about revealing exactly what the new algorithm entails. However, early evidence suggests that it’s a fairly significant update, as quite a few sites have reported changes in their rankings. If you have a website, you have to keep close watch of any Google update. Many sites were hit hard by earlier updates. Abandoning its recent habit of naming updates after animals such as Panda, Penguin and Hummingbird, the latest update has a rather ordinary and mundane sounding name. As innocuous as the name sounds, however, Google seems to be serious about, once again, clamping down on low-quality content. Indeed, Google’s own Gary Illyes has confirmed the update, which is primarily concerned with content quality. When pressed for information about Fred, Google suggested that people reference its Webmaster Guidelines. In other words, Fred isn’t introducing any new policies. Rather, it represents a more severe enforcing of existing guidelines. What are some of the most important of these guidelines? Honesty. As Google puts it, “Don’t deceive your users.” This goes beyond simply blatant lying, however. It also refers to misleading headlines or descriptions that don’t match the actual content. Using flagrant click baiting tactics could get you penalized. This is similar to the standards used in Google AdWords, where ads must match landing pages. Uniqueness. The minimum standard of uniqueness is that your content is not plagiarized. Beyond this, Google is looking for signs that the site has something original to offer. Although not specifically mentioned in its Webmaster Guidelines, it’s a good idea to keep in mind what Google has said about “EAT,” which stands for expertise, authoritativeness and trustworthiness. One of the best ways to improve your “EAT” score with Google is to frequently update your site with fresh content. One of the signs of a low-quality site is that content is old and not often updated. What to avoid. Among the practices that Google specifically warns against are cloaking, hidden links, automated content, doorway pages and sneaky redirects. It’s worth noting that many of these practices are still fairly commonly used. Furthermore, they may temporarily boost rankings. However, Google is more and more diligent about cracking down on these practices so they’re not good for long-term SEO. Who’s Been Hit Hardest by Fred? Very often, the best way to really understand what a Google update is all about is to observe the results. While it’s worthwhile to follow Google’s recommendations, it’s even more illustrative to look at hard data. Websites that were affected by Fred share certain characteristics. One lesson we can take away from Fred is that too many ads can hurt you. Websites that are advertisement heavy, especially with banner ads, were likely to suffer. Nor does using Google’s own ad platform free you from this concern. If advertising is distracting visitors from accessing the information that they came for, it can be counted against you. This is something to keep in mind when thinking about quality content. Regardless of what kind of organic content a site has, too many ads lowers the site’s overall quality in Google’s eyes. This is all consistent with Google’s ongoing effort to improve overall user experience. From this point of view, sites that primarily exist to generate revenue are not providing the best experience for visitors. Even business websites whose purpose it to generate leads and sales can provide informative content as well. A frequently updated blog is a good way to do this. There’s no rule against ads per se. Ads, however, should only be a small portion of what a site offers. Now that we know that Fred has been confirmed, what can we do about it? Let’s outline a strategy that helps to keep your site safe. The first step is to pay close attention to recent changes in your ranking. While it’s always good to watch your analytics, it’s especially crucial right after an update. If you noticed a drop for any major keywords in March, you might have been hit by Fred. Do a thorough content audit of your site. Take an honest look at everything that’s published. If you can identify any obvious problems, such as outdated content, poor navigation, too many ads or broken links, fix them. Check your backlinks. Even though these aren’t specifically mentioned in relation to Fred, you can be sure that Google is still looking closely at the quality of your backlinks. Broadly speaking, this is part of your content. If you still have backlinks from questionable sources, remove them. When studying updates such as Fred, it’s good to look at the particulars. However, it’s equally important to look at longer term patterns. Fred is really part of a trend that was introduced with Penguin and Panda. As Google itself admitted, the new update is more about enforcing longstanding policies than introducing any radical new changes. Whether or not your site was affected by Fred, this is a good time to plan for the future. Understand that issues such as low-quality content and backlinks are eventually going to get you penalized. It’s equally important to adjust for Fred as well as future updates going forward. Remember, Google updates are ongoing. The date of the release is only when it starts to get rolled out. This means that just because you didn’t notice a significant change in rankings right away doesn’t mean you’re safe. In addition to paying attention to the kind of content on your site, the best way to protect yourself from Google updates is to closely track your traffic and analytics. If you ever notice a drop, try to identify the cause and make any necessary changes.